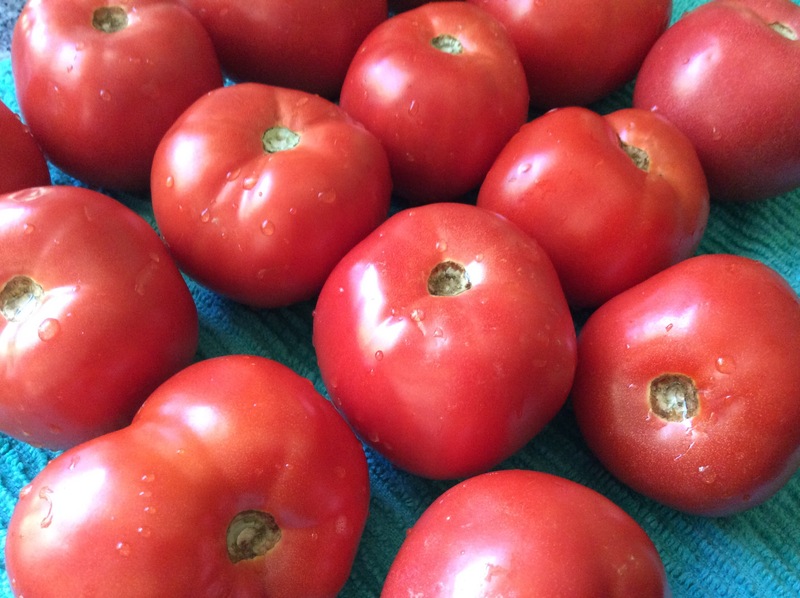 I went to the Farmers Market this week and found they had baskets of tomatoes for $1! 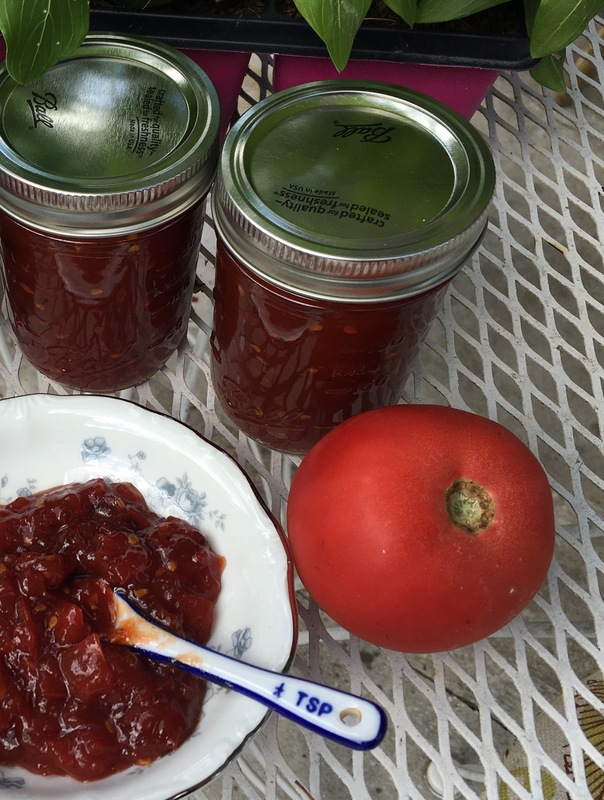 I bought three and went home excited about making tomato jam. 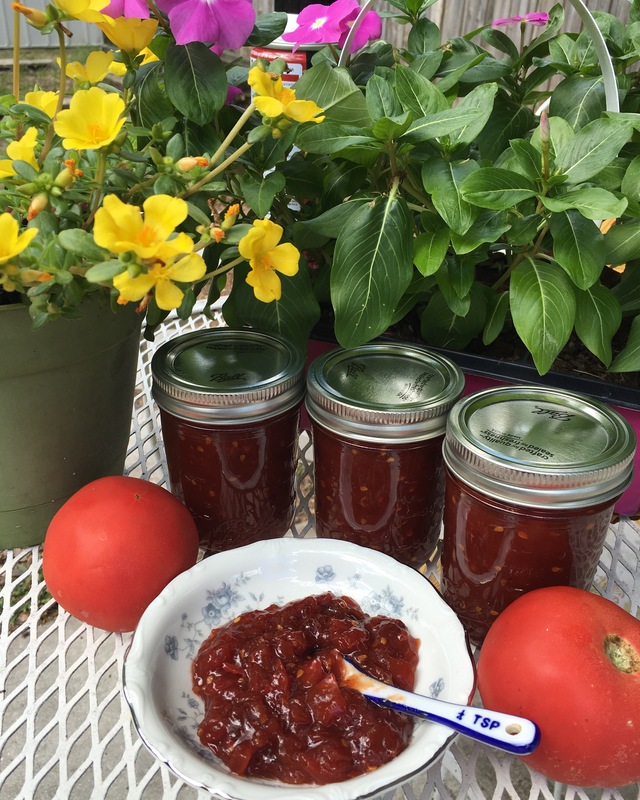 So when I saw those tomatoes, I immediately thought, “I could make some jam! I mean, how hard could it be? Five hours later, after peeling five pounds of tomatoes, simmering & stirring the pot, checking the consistency countless times, I wondered if this “soup” was ever going to turn into “jam”. Oh, I have to tell you, I breathed a sigh and was so thankful that it tasted fine! It was still really, REALLY hot from those red chile flakes, but it was delicious. For years, (since I first got married and went to college in a rural area), I’d wanted to try canning and I finally did it. It only took a couple decades. Now, the jars sit it on my kitchen shelves and I can’t wait until next week when I can go to the Farmers Market, buy whatever is in season, and try canning again! I can almost see it…my kitchen shelves stocked with colorful jars, filled with all kinds of good food. …But I love to do that, too!